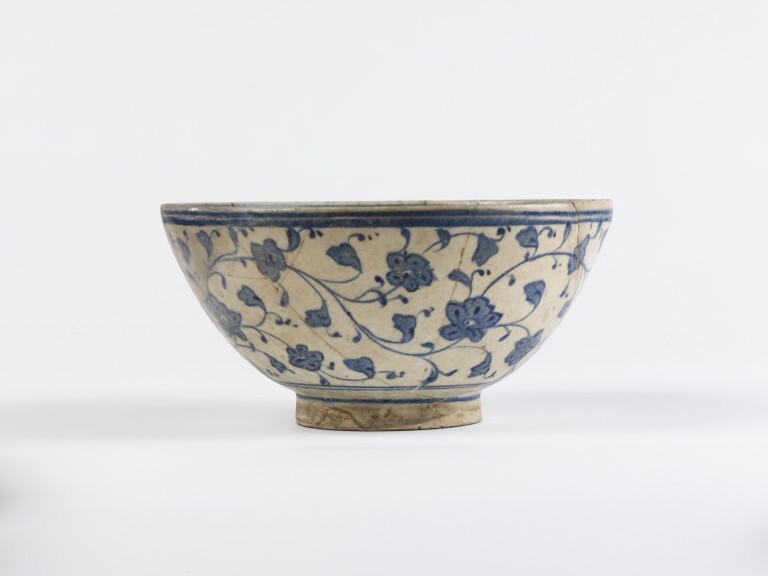 Bowl of grey fritware, painted in blue and covered with a clear glaze. Painted outside with conventional flowers and foliage branching from a continuous wavy stem. Inside on the bottom are flowers and foliage on a spiral stem in a medallion and round the side is a wide band of closely-set leafy stems with flowers. Found in excavating the foundations of a new post office at Sirkeci. 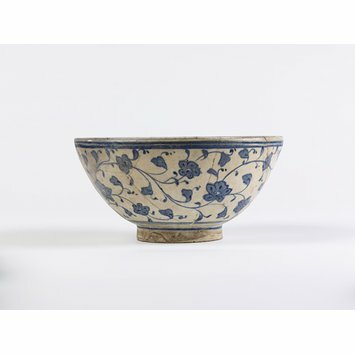 Bowl of grey fritware, painted in blue on a white slip and covered with a clear glaze, Iznik, ca. 1530-1540. Atasoy, Nurhan and Raby, Julian. Iznik: The pottery of Ottoman Turkey. London : Alexandria Press, 1989. pp. 108-109, Pl. 134. Found in excavating the foundation of the new Post Office in Constantinople.